Join over 300 people who get free and fresh content delivered automatically. We never encourage SPAM. You can unsubscribe us any time. 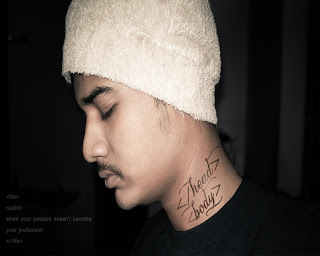 Ramki krishnan is a Blogger and writes for Crackroach – a blog based on Softwares, Hacking, Blogger tips. He is an expert on multimedia editing & designing and in his free time likes to deal with techy stuffs & music. Contact him on his personal blog. When many facebook users are still waiting for a dislike button (Get dislike button in facebook status update - 100% WORKING TRICK), Facebook has come up with a solution. And it is the Reactions. While this is actually not a tool to express your dislike towards a feed, you will have the power to express your emapathy, sympathy or love using the Reactions. 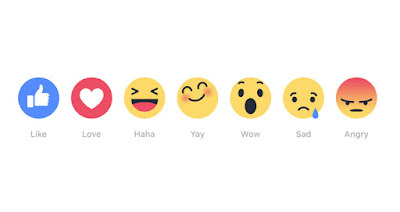 Facebook Reactions offers 6 emojis in addition to the existing like button. One has to long press the Like button on the feed to get these options pop up. Just hovering over any one of the emojis and releasing will record your reaction to that post. Reations is available across Facebook mobile & Web versions. Click here to watch a video to know how Reactions work. Facebook reactions, an interesting update however is still under testing and is rolled out only for the users in Ireland & Spain. While asked a facebook spokesperson on why just Spain & Ireland, his answer was that these 2 countries were one of the few userbases with limited international friend connections. This will help them analyze the response of both English & Non-english users having close connections. Waiting for this interesting tool to get rolled out to your country ? No need to wait anymore. Crackroach gives a 100% working trick to use the Facebook Reactions prior to the worldwide roll-out. Get DotVPN extension installed in your chrome browser. Signup with your mail id. Change the country to Spain. 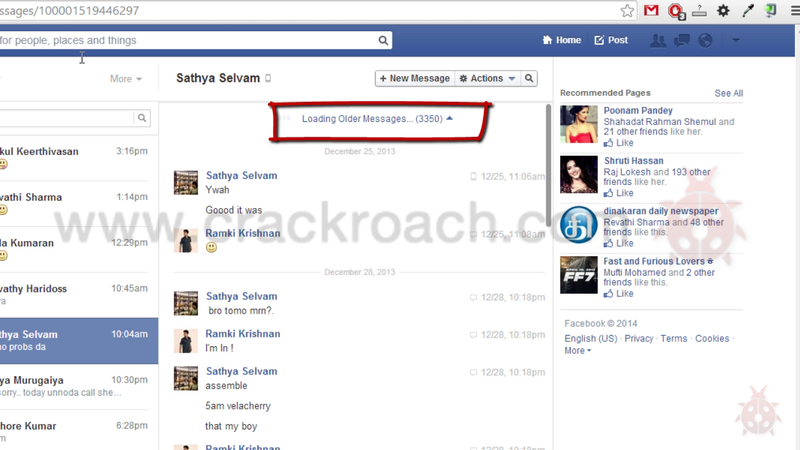 Now reload facebook.com and Voila ! 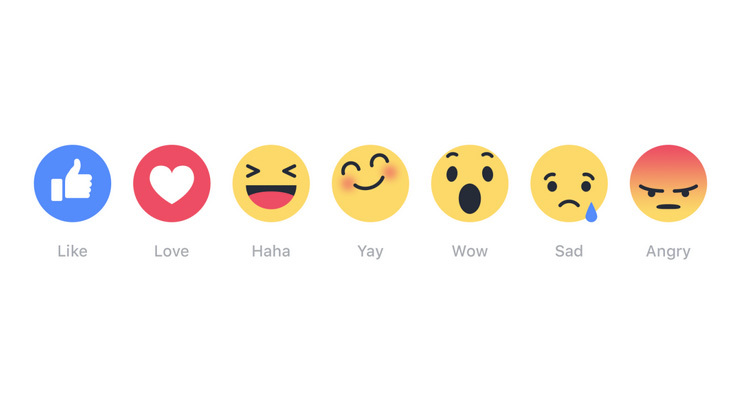 You can now use Facebook Reactions. PS: You can switch off the proxy anytime to revert back to your own proxy settings. Hope this would have been very much useful for many people and don't forget this is Crackroach Certified. You are free to contact us here if you face any trouble. Crackroach will get the solution for you. To amaze your friends, crackroach teaches you here on how to How To Get Maximum Likes & Reach For Your Facebook Page/Profile - 100% Working Trick. Feel free to comment below & let me know your doubts if any. Keep enjoying the updates & keep sharing Crackroach. Are you the kind of person who badly needs the company of music all the way along your life ? Is music your only soulmate to motivate & encourage during workout ? But how many of us find it really comfortable to wear earphones while working out is a question. Earhoox is the answer for it. Earhoox is a smartly designed earphone attachment that fits almost all earphones. Engineered to enhance the listening experience mainly centered towards increasing the comfort level. 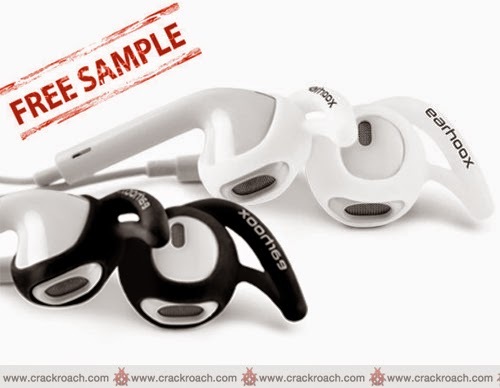 As a prmotional offer, Earhoox is giving away free pairs of this must-have attachment for everyone till December 20, 2014. Order the $12 worth Earhoox for free by submitting your email id here. Facing lag while playing videos on VLC? 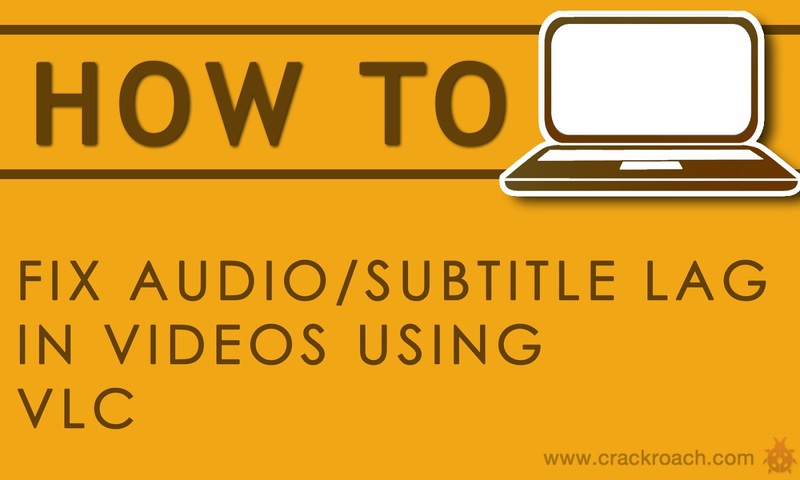 Here's the previous post on How To Fix Audio/Subtitle Lag In Videos Using VLC. Now here is a useful post revealing the secret used by top fanpages on facebook to gain maximum reach. Facebook is a feminist website where only girls' posts get raining likes. That doesn't mean others can't. 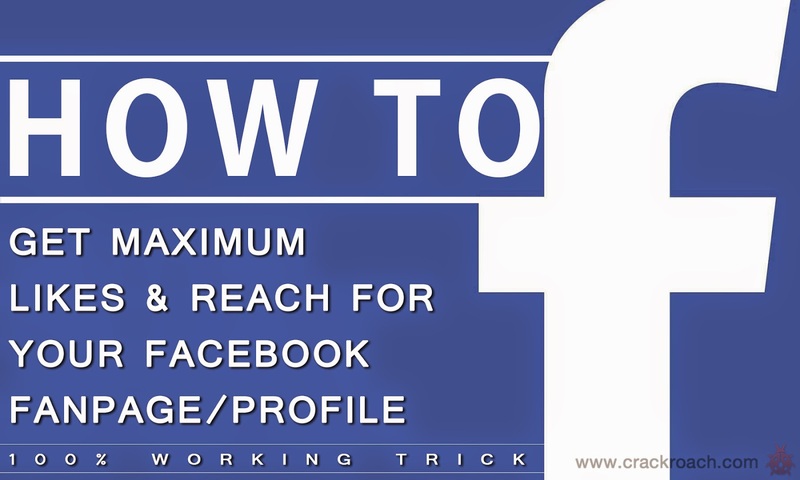 You can, your facebook fan page can get maximum likes & reach with this simple trick & tip from crackroach. When there are some autolike providers on black hat side of this trick, you can boost the reach of your posts with a simple smart trick. This trick is personally tested & is found to be effective among all other so called 'Instant Boost' spams. This trick takes time but won't let facebook to suspend your account. After all, enjoying a wide fanbase over a period of time is better than getting your account suspended. Right ? So here is how you do it. Make sure you have completed filling your profile details. The more you complete, the more you become trustworthy. If you own a just-born fanpage with few fans, then you must maintain a decent frequency of posts. Any number of posts from 20 to 30 a day at equal interval of time will do good. After some days of maintaining this frequency analyse your page insights to find the right time when your fans are active. Make sure that you post a photo along with your post. The photo should convey your post & should no way be inappropriate. The main trick is this. Do some research to find the pages of your niche with huge number of likes & reach. Pick your 5 most famous rival pages & note it down. Now when posting a photo in your updates, tag those 5 pages. This simple move will make your posts reach a minimum of 20% of those 5 pages' fanbase. Though 20% seems to a low figure, 20% of a million wouldn't be that bad. Thats it ! Following these steps will increase your likes & reach of your fanpage/profile for sure. By trying these tips your reach & likes will not increase overnight. We recommend you to follow this for a minimum of 30 days to reap actual benefits. This is a compilation of tips which actually worked when tried. Guaranteed results for sure. Hope this would have been be very much useful for many people and don't forget this is Crackroach Certified. If you have any problems that we could solve, do contact us here. Crackroach will get the solution for you. To get relieved of the most annoying virus & to save your files, see this post Files in Pendrive Replaced With Shortcut File Virus [SOLVED]. 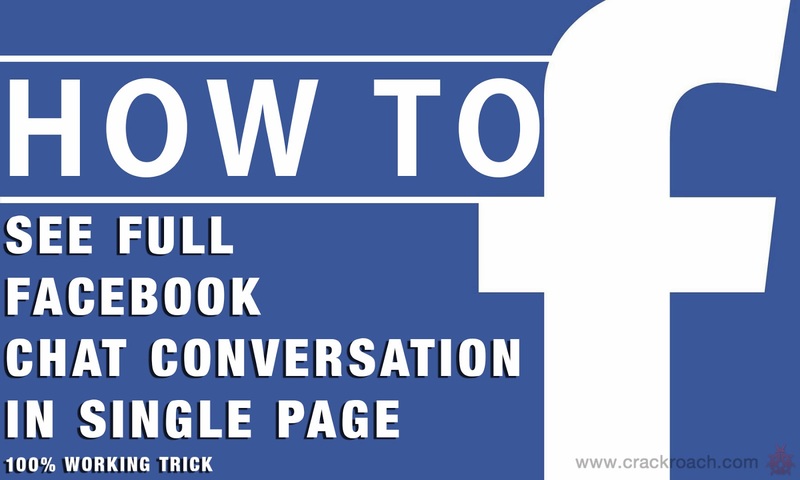 After posting a lot of stuffs about facebook with the recent one being How To View Full Chat Conversation On Facebook In A Single Page - 100% Working Easy Trick, here is a How-To guide for fixing the most common problem faced by many while playing videos. Click Tools in the menubar & select Track Synchronization. If the audio lags, change the value of Audio Track Synchronization. Use negative value if the audio track is delayed. To fix the subtitle delay, change the value of Subtitle track synchronization. Use postive value if the subtitle is getting displayed in advance. After changing the value hit Enter & wait for the changes to effect. The values should be entered in terms of seconds. The speed & duration of the Subtitles can also be altered here. Hope this would have been useful for you and don't forget this is Crackroach Certified. If you have any such problems, do contact us here. Crackroach will get the solution for you. 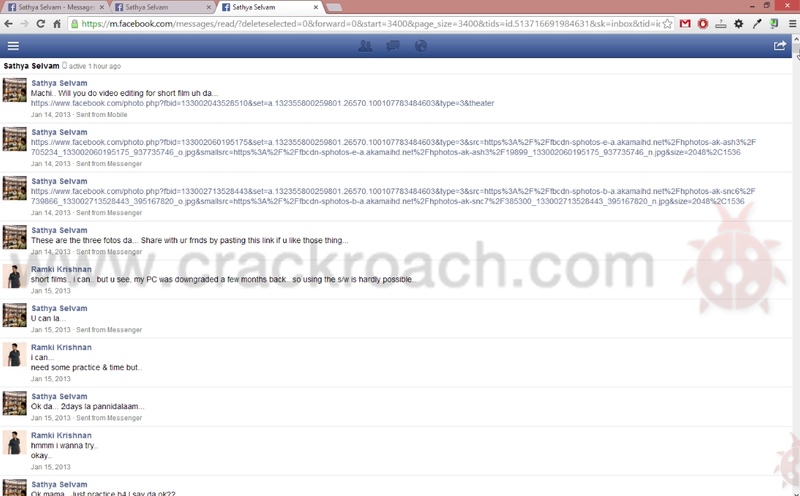 To amaze your friends, crackroach teaches you here on how to Get 1000+ Likes in Facebook - 100% Working Auto Like Trick. Last post gave you a WARNING! 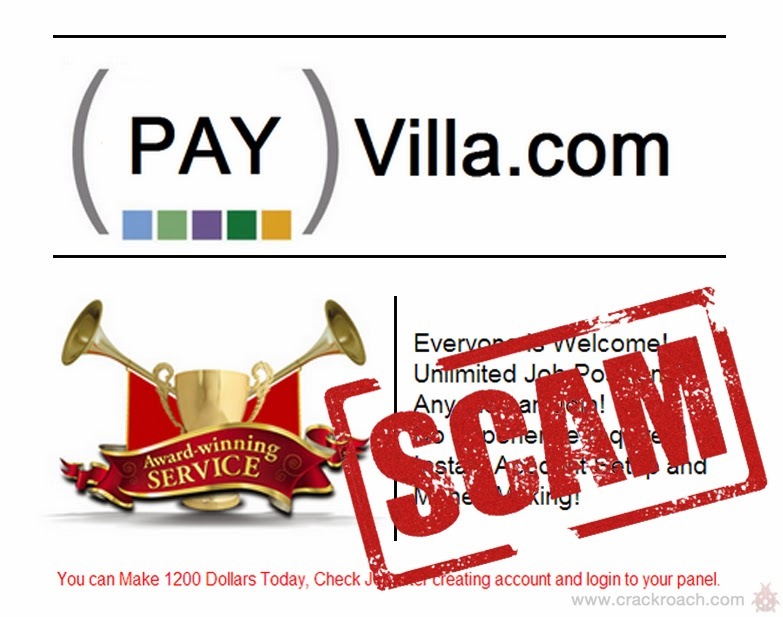 Payvilla.com - A Make Money Online Referral Scam. Now, its time to know an interesting trick on facebook. For any facebook user, surfing through the good old conversations made with his/her loved ones becomes a tiring work as it kills the scroll wheel of your mouse. 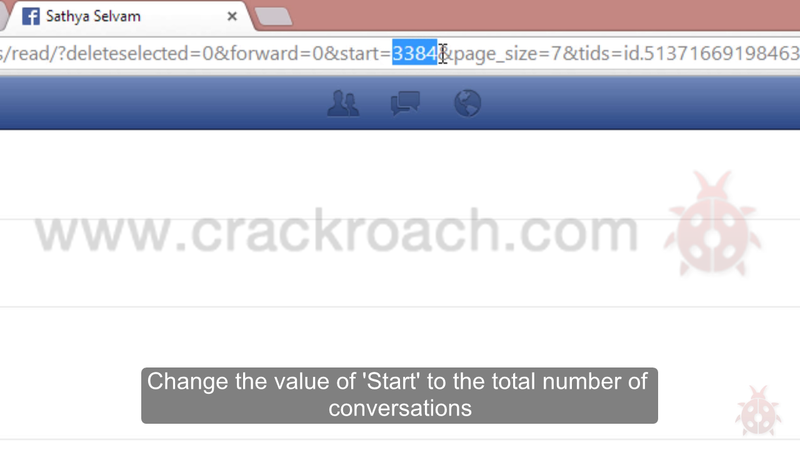 To make this task simple here is how how you can see full facebook chat conversation in a single page from start till end. The fascinating feature of this trick is, this can be done in less than a minute, how long your conversation maybe. For the first time, Crackroach has come up with a video tutorial to make you understand how it should be played & how it works. In the full conversation page you can see only a minimum number of conversations. To see the previous chats you should scroll above. You can see the approximate total of the number of conversation made when you scroll up. Note the number of converstions made. Click on the messages icon & go to the conversation you wish to see. In the new page opened see for the values of 'start' and replace it with the total number of conversations. Approximate it by +30 to make sure you don't miss any recent conversations too. 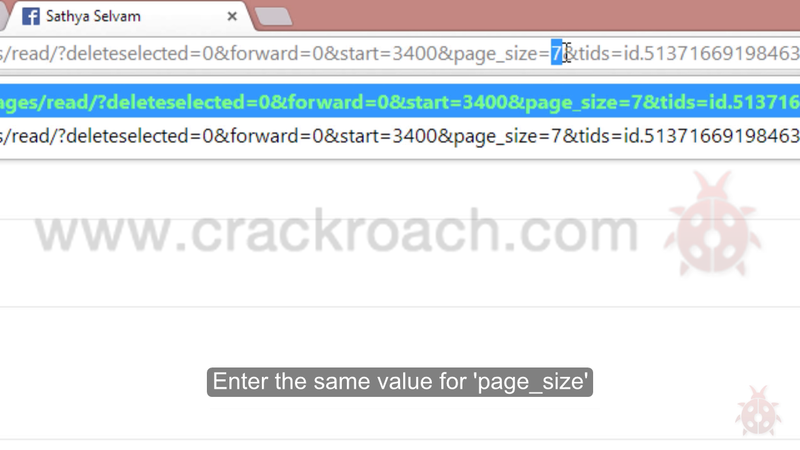 Now change the value of 'page_size' with the same value entered for 'start'. Then hit Enter & wait for the page to load. That's it. Your entire facebook conversation from start to end is now on a single page. Hope this would be very much useful for many people and don't forget this is Crackroach Certified. After letting you know How To Pass / Bypass Online Surveys To Download From FileIce Sharecash - 100% Working Latest Trick, here is a scam alert which is highly mandatory now. 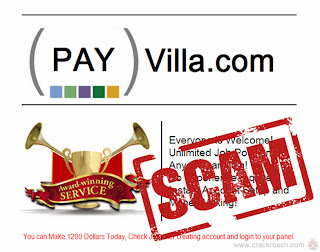 You might have come across Payvilla.com as a referral link on facebook, google+ or in twitter maybe, through a good friend of you, in the chatbox or even in their status update. Even i got one this morning. 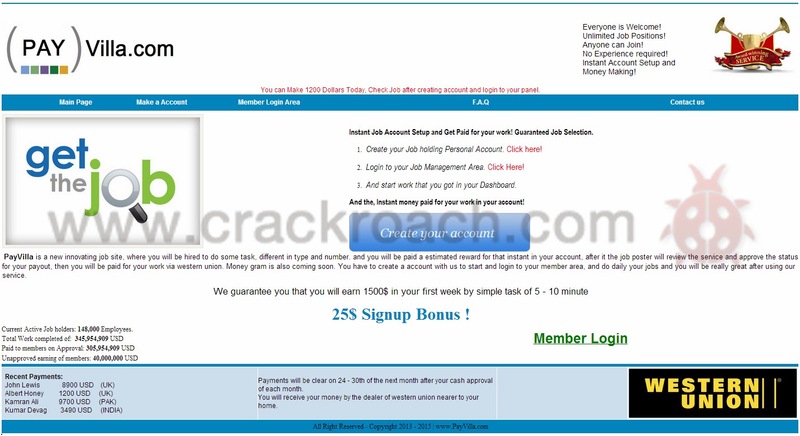 They even guarantee that you will earn $1500 within a week that too by spending just 5-10 minutes. This is awesome, right? They claim that they are an award winning service. So they must be excellent. Isn't it? Their recent claim reads that you can earn $1200 instantly to your account within a day. Now you may think this one is superawecellent. If you felt the same on seeing their website or when hearing you friend saying these words, i'm sorry for you. Firstly, it asks you to sign up to get first $25 into your account. After signing up, you will get the money as they promised but you can withdraw the money only if you reach the threshold of $300. For earning more, the only way is to get your friends into this by sharing the referral link. For each click/signup you will be credited with $5. After reaching the threshold of $300 when you wish to draw the amount through any service, they ask you to complete a survey. The lame reason for this is they want to check if you are a human. The survey options include Signups, Downloads, Download & Install and much more. According to their words, completing any one of these tasks will unlock the money transfer. But the sad part here is even after completing all the surveys, the progress bar will stay loading & nothing will happen. All they do here is using your network of contacts & your influence on internet, especially on social networks to get their job done. Here making money is possible. Unfortunately it is not for you but for them. So stay away from these scams & try not to fall into such traps even when the referrer is someone close to you. Then you are the product being sold over there..! When it comes to a harmful virus you already know how to recover Files In Pendrive Replaced With Shortcut File Virus [SOLVED]. Now, here in this post you'll get to know how to bypass the online surveys which troubles you in downloading a file. 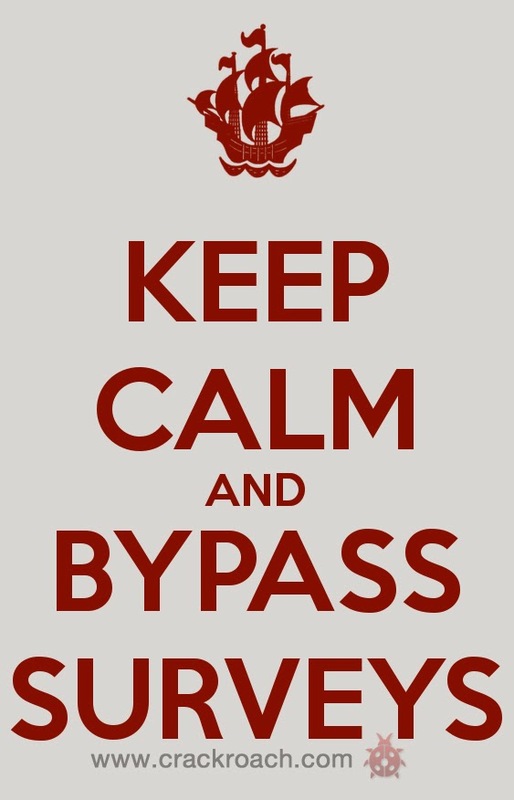 Though many survey bypassing tricks fail, Crackroach gives you some tips & tricks to pass / bypass those surveys where er are not actually going to byypass the survey. The most simple method is not bypassing the survey but getting through it. 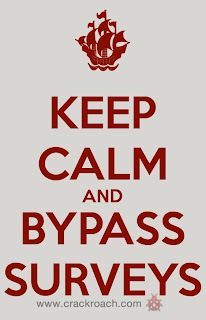 It hardly takes a minute to download the file you need rather killing your time in searching for a working Survey Bypasser. Any survey has a signing up option in it. Better go for it. No need to use your personal details. Every time you refresh the page here, you will get a randomly generated identity. Just fill the sign up form with this fake identity. If asked for email verification, don't worry. Go to FakEmailGenerator & use the randomly generated email id to fill the survey. The email id expires as soon as you close the page. Till then you can see the emails received by that mail id in the main page. If asked for phone number, use any mobile phone number in your country. These are some usual tricks to bypass the online surveys actually. Anyways, using this in Fileice & Sharecash will fetch you nothing. In case of revealing just texts, use the developer console in your browser to delete the entire script of the survey. Getting affected by a virus is always a pain especially if the same happens in your USB Pendrive which has your important files. One of my friends experienced a problem which was something different form all those usual malwares. The autorun virus is the most common one which can be rectified easily. But to your surprise, a recent virus is spreading too fast, which deletes all your files & folders in your pendrive & leaves just a single shortcut in the name same as that of the pendrive. If you are also a victim of this, then here is the solution for you. To open command prompt window, hit 'Windows+R' and type 'cmd' & hit Enter. The command prompt window will pop out. Now type the USB designation. For example, if your pendrive is designated as 'Removable Disk (G:)' type 'G:' and hit Enter. Then type the follwing and hit enter. That's it. Check your pendrive & get all your important files which you thought you lost forever. To amaze your friends on facebook, see this post How To Customize Facebook Status Updated 'via' Trick.